With iMazing, it becomes easy to manage your contacts without syncing, and outside of the cloud. 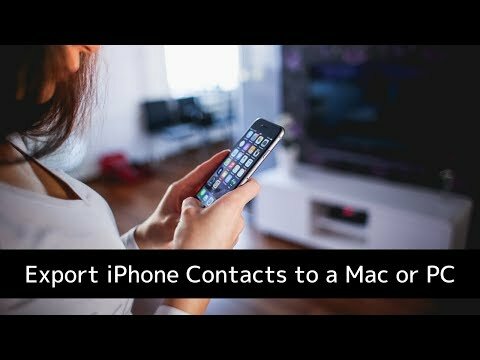 Anyone who wants to delete iPhone, iPad, or iPod contacts from their computer, without iTunes. In iMazing's left sidebar, select Contacts. To see your most recent contacts, you may need to refresh your view. If this is your first time connecting your device, iMazing will initiate a backup to pull your contacts list. Select the contact(s) you want to delete. In the bottom toolbar, click the Delete button. This will start the delete process.  Tip: Use the CTRL/Command, or SHIFT keys to select multiple contacts. Only contacts in the On my Device section can be deleted. If you select contacts in other accounts, the Delete button will be disabled. Note that if you manage your contacts with iMazing, all contact you copy to your iPhone, iPad, or iPod will be in the On my Device account, outside of the cloud.